The Kratochvil Fund is named in honor of Millard R. “Spike” Kratochvil, an initiate of the Alpha-Xi Chapter of TKE at Drake University. Spike came to ISU to receive his graduate degree and went on to become Dean of Students. Though he vowed never to become involved with Epsilon Chapter, as he was far too busy not to mention he was a Drake Teke, Spike went on to spend 39 years as the Chapter Advisor at Epsilon. His 39 years of dedicated service to Epsilon remains an unbroken record (longest serving chapter advisor) in TKE Nation. 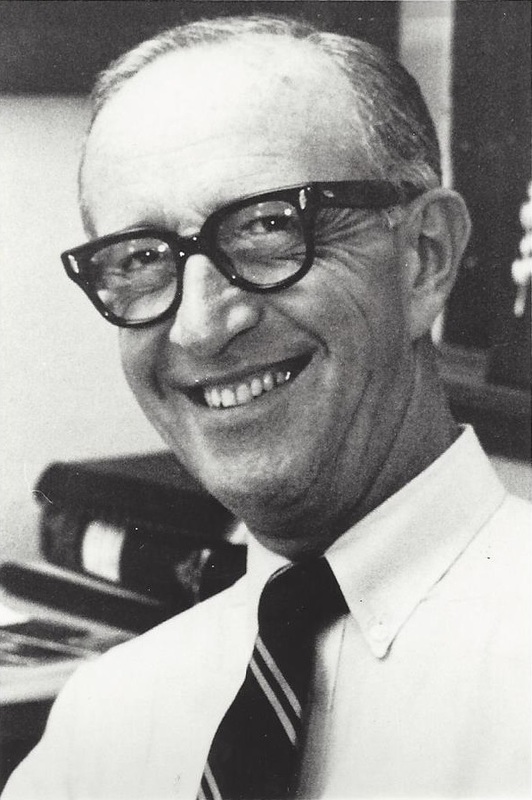 On May 21st, 1962, Dr. Dan Griffin, Iowa State College’s chief legal officer and an Epsilon TKE, signed an agreement with the University to allow TKE alumni to donate to a scholarship endowment fund, the interest from which would then be awarded to undergraduate members who meet certain criteria for specified awards. A fundraising program was then initiated and it was led by Frater J. Leo Hoak, E-67. Money was raised and an endowment was started. In 1962 the first scholarship awards were given in to Fraters Dennis Burns and Jim Willenborg. Each received $150, which in that year equaled the complete cost of their Iowa State tuition. Since then, over $1,500,000 has been donated to the Kratochvil Fund, with some of those donations being spent on the chapter house remodeling in the 1980’s and 1990’s. Today, the Kratochvil Fund and the various named scholarship funds that make it up, total almost $1,000,000. During the 2013-2014 academic year, TKE awarded nearly 50 scholarships totaling almost $33,000. No other fraternity or sorority at Iowa State University comes close to matching the scholarships offered to Epsilon Tekes through the Kratochvil fund. Sandy Clem, an Ames native and graduate of Ames High School, has served Epsilon Chapter loyally as house mother since 1991. Sandy is known for her warm heart, common sense and guiding hand to fraters and alumni. This award is a true recognition of the “Gift of Grace” that Mom Sandy recognizes in young fraters. This scholarship was funded by Frater Brad Williams, E-1287.Number of awards: Up to three $500 awards Eligible to apply: Freshmen through Juniors by academic classification. Selected by: Mom Sandy Clem Candidates must demonstrate the highest of moral and spiritual awareness, and also provide the Chapter with a “sense of grace and moral leadership”. Housemother Sandy Clem will personally select the three awardees. Recipients of this scholarship are not eligible to receive the Blanche King Scholarship in the same year, but are eligible in a different year. Frater Hoak, E-67, was initiated into Epsilon Chapter in 1919. While an undergraduate, he was active in many student organizations while still maintaining a high academic standing. Following his graduation in Engineering, Leo became an innovative businessman in Des Moines and across Iowa in several ventures. This award recognizes and honors Frater Hoak’s success and achievements. This scholarship was funded by the Hoak Family. Number of awards: One $500 award Eligible to apply: Sophomores and Juniors by academic classification who are also Engineering majors. Selected by: Scholarship Committee Candidates must exemplify campus and Epsilon Chapter leadership skills, have a cumulative GPA of 3.00 or better, and be an Engineering major at the time of application. Elmer Kaser, E- 1, was initiated in the founding class of Epsilon Chapter in 1915. He was one of the original “Seminoles”, creating Epsilon from the ideals of Love, Charity, and Esteem to the Chapter it is now. Frater Kaser was a leader, as you can assume, for it is with his foresight that Epsilon was born. He was active in Chapter activities and a highly ranked student in all of his campus activities. Following graduation he founded a construction and limestone mining company based in Des Moines. Frater Kaser’s son, three grandsons (one, Phil, was awarded scroll E-1000), and a great-grandson have been initiated into Epsilon Chapter. This scholarship was funded by general donations to the Kratochvil Fund and by the Kaser family. Number of awards: Up to 10 $500 awards. Eligible to apply: Sophomores by academic classification Selected by: Scholarship Committee Candidates are any and all members of the sophomore class by academic classification who demonstrate high academic achievement and who are also active in campus and/or Chapter activities. Recipients must have a minimum cumulative GPA of 3.00 or better during their Freshman year, and must also be involved in at least one Chapter or campus activity. A member may only win this award one time. Don Kaser, E-210, was initiated into Epsilon Chapter in 1934. He was the son of Elmer Kaser, E-1. He was an active student leader both on campus and within the chapter. Don was Prytanis of Epsilon and led the Chapter to high levels of campus performance, winning programs and activities and more, while always maintaining a high academic standard. Following graduation, Frater Kaser returned to the family’s quarry and road building business, headquartered in Des Moines. The Kaser Construction Company’s most well known projects were building part of the Alaskan highway and the Highway 30 bypass route from State Center to Ogden, Iowa. They also owned many large rock and sand quarries across Iowa and Missouri. Don was elected Prytanis of the Grand Council of the International Fraternity from1959 to 1961. This scholarship recognizes leadership and achievement, qualities that Don Kaser was widely known for. It was funded by general donations to the Kratochvil Fund and the Kaser families Number of awards: One $1,000 award Eligible to apply: Sophomores and Juniors by academic classifications elected by: Junior class members living in the Chapter House Candidates must exemplify the utmost in character, leadership, and loyalty to the Chapter, ideals which Don Kaser and his father, Elmer (Epsilon Scroll number one), stood for. Strong consideration is given to that individual who is also an active leader in campus, Greek, and Epsilon activities. Applicants must have a cumulative GPA of the ISU All-Men’s Average or better. Note: The selection committee for this award consists of members of the Junior class who are living in the Chapter house during the spring semester. Charles Leon Kolbe, E-691, was raised on a farm in rural Sac County, Iowa. He pledged Epsilon Chapter in the fall of1960, majoring in Animal Science, and was initiated in the spring of 1961. He graduated in 1965. During his years at Iowa State, Chuck was active at the highest levels within Epsilon and on the ISU campus. He served as president of his1961-62 pledge class, the largest (30) to that time in Epsilon’s history. He was elected Prytanis as a sophomore. The following year, he served as Rush Chairman, launching a summer rush program that involved the deployment of 12fraters across three states for a period of two weeks. The success of that summer’s rush led to the need to build the south addition to 224 Ash the following year, and to two subsequent years of Epsilon being selected as Top TKE Chapter in the nation. Chuck was a popular and active leader on campus as well. He held several IFC positions, was on the Homecoming and VEISHEA central committees, was VEISHEA co-chairman in 1964, received the Cardinal Key Leadership award in 1964 and ISU’s highest undergraduate award, Cardinal Key, in spring 1965.Following graduation, Chuck and his wife, Sue, returned to the family farm, building a very successful grain and cattle raising business over the ensuing years. In later years, he was president of the Iowa Cattlemen’s Association and the Iowa Beef Industry Council, and was inducted into the Iowa Cattlemen’s Hall of Fame and was the only recipient of the Association’s Lifetime Member Award. He also served our nation during two terms on the U.S. Internal Revenue Service Oversight Board, and received the U.S. Treasury Secretary’s Honor Award for his distinguished service. Tragically, in 1997 Frater Kolbe was struck by a motorist while training for the Des Moines Register’s annual cross-state bicycle ride, RAGBRAI. He received a spinal cord injury and was never able to walk again, but, nonetheless, he was able to live an exceedingly productive life as husband, father, grandfather, Frater and friend. He and Sue were substantial investors in the 224 Ash LLC campaign and he actively participated in Epsilon’s revitalization. Chuck died in 2009 from the long term consequences of his injury, surrounded by family and friends. This award, funded from an endowment at the ISU Foundation, has been created by alumni Fraters and Chuck’s family and friends in loving memory of the distinguished life and enduring legacy of this truly outstanding Epsilon leader. The Kolbe Award is intended to be Epsilon’s top scholarship and to inspire Epsilon undergraduate students to be actively engaged as Chapter and campus leaders at the highest levels during their years at Iowa State University. (Note: Due to its high qualification standards, the Kolbe Award may not be given every year. )Number of Awards: One $2,000 award. Eligible to Apply: Applicants must be a Sophomore, Junior or Senior by academic classification. Note: Seniors who apply must either continue to be enrolled as an undergraduate student in the fall, or be enrolled as an ISU graduates student in the fall after graduation to receive the award. Enrollment plans must be made clear on the application form. Selected by: Scholarship Committee, in consultation with alumni contemporaries of Frater Kolbe. Applicants must demonstrate commitment to the fraternal founding principles as written in the Tau Kappa Epsilon national fraternity charter. Applicants must have resided in the Chapter House during their undergraduate years at Iowa State, except in extenuating circumstances as determined by the Scholarship Committee, i.e. marriage, study abroad or internship. Applicants must be active leaders of campus, Greek, and Chapter activities such as, but not limited to, Interfraternity Council, Chapter offices, Greek committees, and/or ISU student organizations. Cumulative GPA may be considered to distinguish between multiple candidates with equal or comparable qualifications; however, there is no GPA minimum to receive this award. Dan Schmidt, E-1197, a graduate of Davenport Central High School in Davenport, Iowa, was initiated into TKE in1976. He came to Iowa State as a highly recruited member of the ISU men’s swimming team. While he earned a varsity letter as a Freshman due to his achievements in the pool, Dan also earned a well-deserved reputation for his strong work ethic at the Chapter building floats, displays, and working to keep the Chapter property maintained and in order. Since graduation, Dan has continued to oversee Chapter House repairs as a construction company owner in Ames. This scholarship was funded by an anonymous Frater who lived in the Chapter House with Frater Schmidt and who learned to love Epsilon by observing Frater Schmidt’s commitment. Number of awards: One $500 award Eligible to apply: Freshmen through Juniors by academic classification Selected by: Scholarship Committee Candidates must exemplify a strong work ethic at helping to keep the Chapter property in good repair, clean, and in a safe and well kept manner. Special consideration is given to applicants who distinguish themselves in the roles of building VEISHEA floats, homecoming lawn displays, and other chapter building, construction, and maintenance activities. There is no GPA requirement for this award. Members are limited to winning this award only one time. “Spike” was a Des Moines, Iowa native and Drake University graduate, where he was a member of the Alpha Xi chapter of TKE. He came to Iowa State College in 1940 as a graduate student, and when he heard that Epsilon Chapter was in need of an advisor, was quoted as saying, “there is no way I am doing that!” Thirty-nine years later, Spike retired as Chapter Advisor. During his term, he saw more than 1,000 men initiated into the Chapter and 16 Top TKE Chapter national awards earned by Epsilon. Spike served ISU as a popular English professor and Dean of Students during his decorated academic career. He holds the TKE International record as the longest serving Chapter Advisor in the fraternity’s history. This scholarship was funded in part by a Kratochvil estate gift and by general donations to the Kratochvil fund. Number of awards: Up to 10 $500 awards Eligible to apply: Freshmen or “first year at ISU” students in any class Selected by: Scholarship Committee Awarded to any Freshman or “first year at ISU” (transfer) student in any class (pledge or active) who pledged leading into or during the current academic year. Applicants must have achieved a GPA at, or above, the ISU All-Men’s Freshman Average during the fall semester, and must be involved in at least one campus or Epsilon activity at the time of application. Don Beisner, E-647, was initiated in 1958. A native of Cedar Falls, Iowa and a Chemical Engineering major, Frater Beisner was an outstanding student at Iowa State. He was initiated into Phi Eta Sigma (Freshman honorary) and Phi Kappa Phi (the highest academic honorary fraternity at Iowa State at the time), and he led many fraters to better academic performance through his leadership and counsel. Following his junior year at ISU, Don was accepted into the University of Iowa’s College of Medicine and received an M.D. degree in 1964. He served as a U.S. Navy medical officer during the Vietnam War. Later, Frater Beisner completed a residency in ophthalmology and settled in Springfield, MO, where he had a very successful surgical practice and a number of business interests. He died in 2010 after a battle with cancer. This scholarship was funded by several gifts from Don Beisner and his family. Number of awards: Up to three $1,000 awards Eligible to apply: Freshmen through Juniors by academic classification Selected by: Scholarship Committee The Beisner Scholarship is available to Freshmen, Sophomores and Junior resident members who have achieved a 3.4cumulative GPA or higher; have been enrolled in ISU for at least one prior semester; agree to serve as an academic mentor to one or more other members; and are involved in at least one Chapter or campus activity. It will be awarded to the three applicants with the highest cumulative GPA’s of 3.4 or higher. Competing factors being equal (e.g. cumulative GPA), it will be awarded based on highest scroll number. Note: As a general rule, a member may receive this award only once; however, if there are not enough qualified applicants who have not won it previously to fill the three awards, it maybe reawarded to a previous recipient. Mom King came to Ames from Mingo, Iowa after her husband died. She was a much loved and valued housemother for Epsilon Chapter during the WWII era and later. Fraters who were undergraduates during the Mom Kingera report she was an important part of their character development and remember her for her unending assistance and devotion to helping instill manners and life’s lessons in many ways. This scholarship was funded by a group of fraters who lived in the chapter house during the Mom King years. Number of awards: One $1,000 award. Eligible to apply: All resident members who have completed at least one semester at ISU Selected by: Scholarship Committee Applicants must demonstrate a sincere concern and love for Epsilon Chapter and its future by their actions, leadership, and involvement in Chapter life and activities. They must have an ISU GPA of 3.00 or better at the time of application. Note: Recipients of this scholarship are not eligible for the Sandy Clem Gift of Grace Scholarship at the same time. Gene Lange, E-853, was initiated in 1966. A native of Lake View, Iowa, Frater Lange majored in Government, History and Foreign Languages. After graduation he attended law school at Georgetown University. He is a very successful attorney with the law firm of Lange, Thomas and McMullen LLP in Washington, D.C., and has ownership in several businesses across Iowa. He owns Union State Bank in Winterset, Iowa, which is in Madison County. Gene is a member of the Board of Governors of the Iowa State University Foundation, along with several other Epsilon Fraters. This scholarship is funded by a gift from Gene Lange. Number of awards: One $1,000 award Eligible to apply: Incoming Freshmen or transfer students; current members from Madison County, Iowa Selected by: Scholarship Committee This award is given to an incoming Freshman or transfer student from Madison County, Iowa who pledges Epsilon, or to a resident pledge or frater from Madison County, who has a GPA that meets or exceeds the ISU All-Men’s Average. If more than one person qualifies, the $1,000 award will be divided equally between all qualified applicants. Note: An award to an incoming Freshman or transfer student will be determined by Chapter recruitment leaders in consultation with the Scholarship Committee. These awards were established in 2005 by Frater Roger Underwood, E-1239, to honor and recognize four alumni fraters who played key leadership roles in the revitalization of Epsilon Chapter beginning in 2003, an ongoing process. Central to the revitalization effort was a successful plan to place ownership of the 224 Ash Chapter House in an LLC. Nearly $1.7 million was raised through LLC membership investments from 147 alumni fraters to remodel the facility in2004 for a better living and fraternal experience for undergraduate fraters. Funding for the Seminole awards is provided by Frater Underwood. The four alumni fraters chosen to be recognized by the awards are Gary Kounkel, E-645—An Iowa farm boy from LeMars, Frater Kounkel was initiated in 1958 (#645) as a Sophomore. He earned a B.S. degree in Industrial Engineering from ISU in 1962 with graduate work in business, management and real estate from UCLA, U. of California, Riverside and the U. of Colorado. Gary’s career includes 28years of corporate management and 20 years as president of his company, Big Horn Resources, Inc., specializing in property development in Loveland, Colorado. Frater Kounkel was the leader of the 224 Ash LLC campaign (2003-2005)and subsequent Chapter House remodeling (2004). He serves as president of the LLC and handles a wide variety of responsibilities important to Epsilon’s revitalization. Gary Mulhall, E-802—A native of Ames and graduate of Ames High School, Frater Mulhall was initiated in 1964. He graduated from ISU in Journalism in 1971 after three years of military service. Now retired in Olympia, WA, Gary’sprofessional career primarily involved higher education fundraising. Frater Mulhall took a lead role in the marketing effortfor LLC investments and in 2012 will become president of the company. He is also the chairman of Epsilon’s scholarship committee. Phil Kaser, E-1000—A Des Moines native, Frater Kaser’s roots with Epsilon run as deeply as possible. His grandfather, Elmer Kaser, was Scroll #1 and one of the founding “Seminoles” of Epsilon Chapter in 1915. His father, Don, was initiated in 1934 and held Scroll #210. Two of Phil’s brothers are Epsilon TKE’s, as is a nephew. Phil worked in the family’s quarry and road building business after graduation from ISU in 1973, and is now semi-retired in property management. During the early Chapter revitalization period, Phil served as the LLC’s primary representative with the undergraduate members and also was closely involved with the remodeling of the House and its operational needs.· Ryan Burchett, E-1729—An Epsilon Chapter legacy from Harlan, Iowa, Ryan was initiated in 1993. He was honored by being named the national “Top TKE Frater” upon graduation in 1997. Ryan is now managing his family’s spirits distilling business. He served as the Chapter Advisor during Epsilon’s revitalization effort. Number of awards: Four $500 awards Eligible to apply: Sophomores and Juniors Selected by: Scholarship Committee Applicants must exhibit the highest levels of the three TKE ideals: Love, Charity, and Esteem. Also, like the “Seminoles” who founded Epsilon Chapter, they must demonstrate a high level of leadership in Chapter life and activities. These ideals and leadership skills are to be shown by the applicants’ deep and unquestioned loyalty to the Chapter, and by their devotion to making the Chapter a stronger and more viable organization through recruitment and other means. Applicants’ cumulative GPA must meet or exceed the ISU All-Men’s Average. Frater Frymire, E-1331, was initiated in 1980. A native of Sterling, Illinois, Jack came to Iowa State from a large farming and diverse Ag business operation west of Chicago. While an undergraduate, Jack was a positive influence on many young men, always encouraging them to do better and to think bigger. He is a successful grain trader in Chicago and has a large diversified grain operation near Sterling, Illinois. This award was funded by a gift from Jack Frymire. Number of awards: One $2,000 award Eligible to apply: Sophomores and Juniors by academic classification Selected by: Scholarship Committee Applicants must have a cumulative GPA of 2.60 or better and must have completed two semesters at ISU. Preference shall go to applicants who provide leadership to Epsilon Chapter (such as being elected to, or running for, an elected officer position, or other key leadership positions in the House), and who participate significantly in activities such as Homecoming, VEISHEA, recruitment, etc. Campus leadership is also a determining factor, such as curriculum club membership, leadership within the Greek community, or similar ISU activities. Doug Harms, E-1015, was initiated in 1970. He came to Iowa State and Epsilon as part of “The Mighty Forty” pledge class of fall 1969 that was forty in size. His home town was Everly, Iowa. While an undergraduate, Doug was active on campus and served the Chapter in several roles, including Rush Chairman. Following graduation, he founded T-Galaxy Athletics, a popular and successful clothing chain based in campus town. Sadly, Frater Harms died in 1993 ofbrain cancer. This gift was funded by gifts from members of Doug’s pledge class, the Harms family in a memorial, and general donations to the Kratochvil Fund. Number of awards: Up to three $500 awards Eligible to apply: Incoming New ISU Students (Freshmen and transfer students)Selected by: Chapter recruitment leaders, in consultation with the Scholarship Committee. Applicants are advised of this scholarship opportunity by their high school guidance counselors. The application filing deadline is June 30. Awardees are selected not later than August each year. Applicants must have achieved high academic results in high school, or at another college/university. Award payments will be made in equal installments during the first two semesters of enrollment at ISU.